HYPR is the world’s largest and smartest influencer search and discovery directory that provides real-time analytics for social influencers across major social platforms. Founded in 2013 with over 500 brands, agencies, and influencer marketing platforms, HYPR’s search engine leverages its smart index that houses profiles and audience demographic information for over 10 million influencers. The comprehensive directory organizes social media information and makes specific audiences reachable at scale. 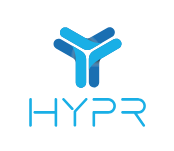 The HYPR platform allows automation in influencer discovery by narrowing down millions of options to the most actionable and relevant ones. During this process, HYPR decided to look for a solution that both simplifies the management of their Beanstalk infrastructure and dramatically reduces their costs. “We had to make a change, we’ve heard about Spotinst and decided to give it a try”. It took HYPR only a matter of minutes to migrate their production environment using the Spotinst import wizard. The migration process automatically copied all the Auto-scaling groups’ configuration and created an Elastigroup with the same configuration. It simultaneously removed the Auto-scaling group policies and suspended the Launch, Terminate, HealthCheck, ReplaceUnhealthy processes. This meant that the Beanstalk environment resources remained untouched and HYPR could keep on updating their application in the same way, using Elastic Beanstalk AWS CLI commands, as Elastigroup keeps track on the changes and rolls new changes automatically when needed. HYPR shifted the Elastic Beanstalk production environment immediately. “We decided to use the momentum as we’ve heard about Spotinst. It was a risk but fortunately, I can summarize it as a great success”. Following this success, HYPR added another environment of 150 servers to Spotinst. As a result of the cost reduction, HYPR could allow to scaling up another 100 Spot Instances. HYPR started to migrate their ECS clusters to Spotinst once the ECS Auto-scaler had launched. The Auto-scaler gives HYPR a fully managed solution without the need to configure scaling policies and makes sure the scaling and the underlying infrastructure is as efficient as possible for running their Tasks. As a next step, the team will use Spotinst EMR Integration, helping tackle a big spend for HYPR.